Lewis County PUD participates in the following two alternative energy programs. 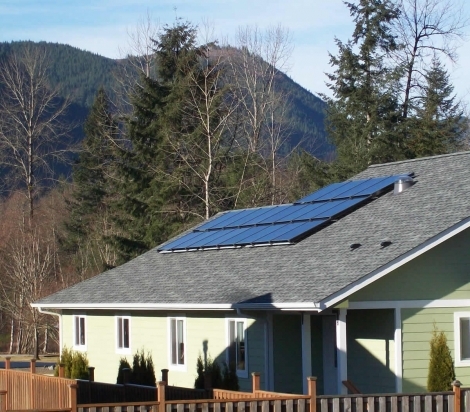 The Net Metering program allows a customer with a renewable energy system to feed any excess energy into the electric system. A bidirectional meter, also called a net meter, is installed to measure flow of power in two directions. This meter will measure the energy that is delivered from the utility to the customer and from the customer to the utility. Then the customer is billed on the “net” difference. In the instance a customer generates more than they use over an entire billing cycle, then the customer is given an energy credit to be used on future bills. In July 2017, Engrossed Senate Bill 5939 was passed by Washington State legislation, creating significant changes to the Washington State Renewable Energy Cost Recovery Program. Participants certified before October 1, 2017 are grandfathered into the new program under the same rate and conditions as they were certified in the Washington State Renewable Energy Cost Recovery program. The Renewable Energy System Incentive program is managed by Washington State University Energy Program. This incentive program pays a yearly incentive payment based on the amount of energy produced, the equipment used in the system, and the size of the system. For more information please follow the link below to Washington State University Energy Program’s website. For any additional questions or to start the interconnection process, please contact us by phone or fill out the form below and a representative will contact you.